82nd & Fifth from the Met iPad App Review. Needless to say, The Metropolitan Museum of Art is one of the most prestigious museums in the world. Next to the Louvre, the Guggenheim or the British Museum, the MET is one of those museums you must see at least once in a lifetime. The MET doesn’t need any presentation, any add in a magazine or app to get people to know about its existence. 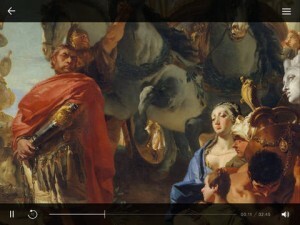 However, there are a couple of apps in the App Store supported by The Metropolitan Museum of Art. 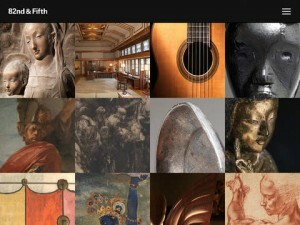 And the 82nd & Fifth from the Met app is truly one of the best new apps this week. 82nd & Fifth from the Met is a great educational app. 100 curators talk about 100 works of art that changed their perspective on the world. Every video lasts no more than a couple of minutes, and is accompanied by a series of astonishing pictures or videos presenting the piece of art brought into discussion. It’s engaging, eye catching, and just a great initiative. I find it extraordinary to be able to see all these masterpieces and find out more about them from professionals, all from the comfort of your home, with an iPad in your lap. Paintings, drawings and famous sculptures, old fine dining silverware, precious materials and books…you can find out the hidden meanings of all these pieces, and more. Every piece in this virtual MET exhibit is carefully arranged following a certain theme. In this expo, you are free to discover Heroes and Villains, experience the Lifestyle of the rich and famous, get an invitation to the Dinner Club, be witness to famous Love Stories, discover the Advances in Technology, and so much more. Imagine being able to admire and learn about such a variety of art pieces without having to actually go to see and hear about them. Totally free of charge. One tap away. This is what 82nd & Fifth from the Met brings to your home. Plus, you can also save the videos you enjoyed most. Add them to favorites to easily find them the next time you want to review them. Or share the experience with your friends, via Facebook, Twitter or E-Mail. Coming across this app in the App Store was a really great experience, and I recommend it to all of you. There’s really not a single thing more I would have liked this app to offer that it doesn’t. 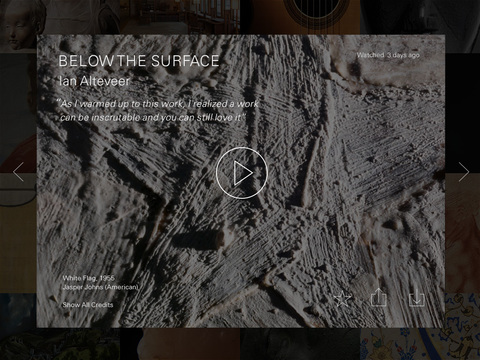 100 works of art, 100 curators, 11 MET photographers, all information compressed into just a couple of minutes. Totally free of charge. This is 82nd & Fifth from the Met. What do you think of 82nd & Fifth from the Met? Scroll down for our comment section and let us know!